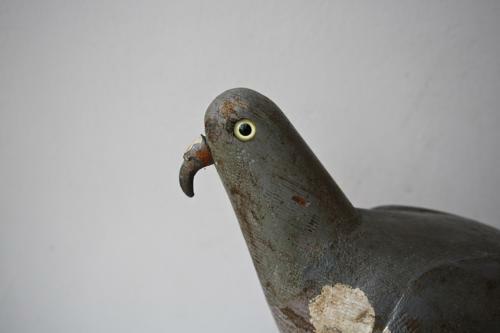 19th century pigeon decoy with amazing original beak and glass eyes. On later base. In excellent condition.